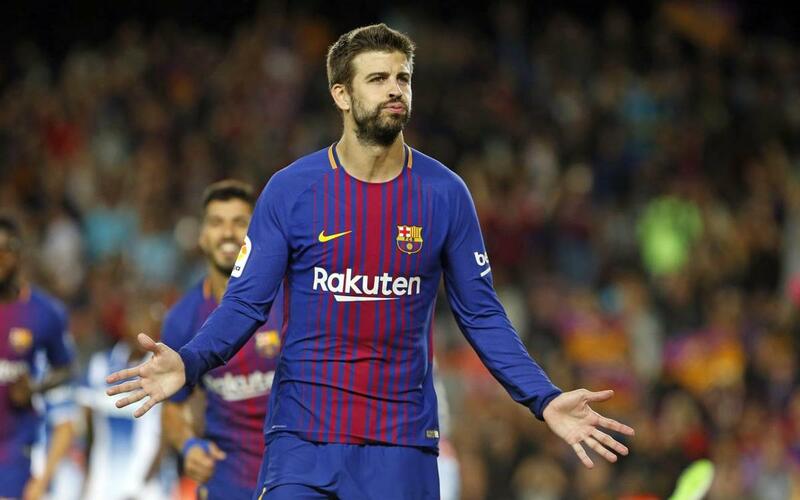 Gerard Piqué will sign his new contract with FC Barcelona on Monday. The player, who will be at Barça until June 30, 2022, has a buyout clause of 500 million euros, as announced last Thursday. The event will start at 1.15pm CET with the signing of the contract, then, at 1.30pm, a photo session will be held on the Camp Nou pitch before a press conference that will begin at 1.45pm. It can all be followed live on the official website (www.fcbarcelona.com) after 1.00pm CET, and also via Barça TV, the Club’s YouTube channel (www.youtube.com/fcbarcelona) and Facebook page (www.facebook.com/fcbarcelona), starting at 1.15 pm.